PULLMAN, WASH.— For Jamira Burley, making lasting change isn’t about being a perfect activist. 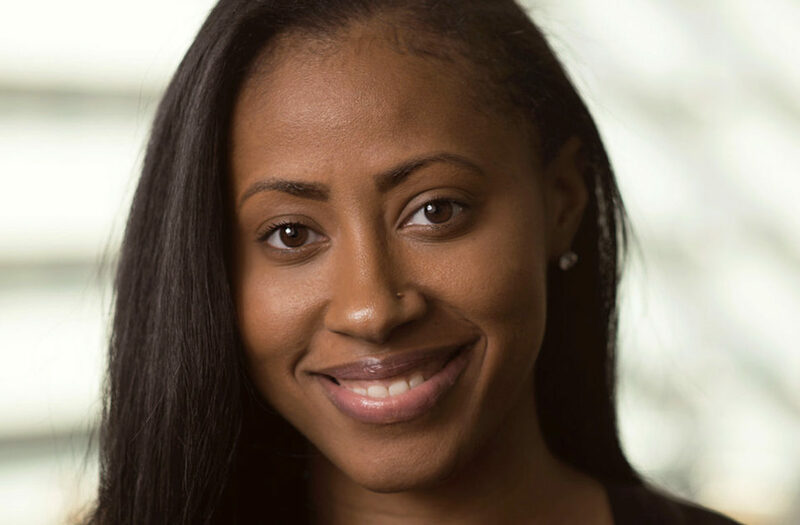 A White House Champion of Change and Forbes 30 Under 30 Honoree, Burley works as the Head of Youth Engagement and Skills for the Global Business Coalition, helping youth and business leaders educate and engage young people around the world. She will speak on the Washington State University Pullman campus 10:30 a.m.–12 p.m. on Saturday, Sept. 22 in Todd Auditorium as the keynote for this year’s Pacific Northwest Collegiate Leadership Conference (PNWCLC). Her speech is free and open to the public. Burley’s own path toward activism started in a violent and drug-affected community in Philadelphia. When she was 15 years old, she lost her brother to gun violence. In the same year, her father was convicted of murder. “I was at the intersection of victim and perpetrator,” she said. For more than a decade, Burley has been using her story to inspire others. Prior to working with the Global Business Coalition, Burley was the National Deputy Millennial Vote Director at Hillary For America. Before that, she managed gun violence and criminal justice portfolios at Amnesty International USA, one of the largest human rights organizations in the world. In her role at the Global Business Coalition, Burley speaks to college audiences often, emphasizing collaboration and building space to allow student activism to evolve. Burley cites her childhood as the catalyst that sparked her passion for activism, but said she knows how feelings of hopelessness and anxiety can cloud one’s commitment to change. “There are so many examples of people who don’t come from a lot of money or from an influential family, and they are still able to transform their world,” she said. The PNWCLC is the largest student leadership conference in the region, bringing together more than 500 students across the WSU campus system from a variety of majors and involvement experiences. WSU students, faculty and staff from all campuses, students from other universities can register for the conference via CougSync. Registration closes Sept. 14. The day-long conference is free to WSU Pullman students, faculty and staff; other WSU campus students, faculty and staff are $15; other university students are $25. For more information on the conference, visit the PNWCLC website.